Vacker UAE is the leading supplier of Air Humidifier Dubai and Dehumidifiers in the UAE region. We supply humidifiers and dehumidifiers for residential, agricultural as well as industrial use. We have a wide range of humidifiers and dehumidifiers to meet the requirement of our customers from different sectors. Our products can be purchased from different cities of the UAE regions such as Abu Dhabi, Ajman, Dubai, Fujairah, Ras al-Khaimah, Sharjah, and Umm al-Quwain. Low humidity can cause different kinds of problems if not tackled properly. It can cause different problems related to skin and respiration. It can also cause damage to expensive or vintage items. Low humidity can be absolutely devastating in farming of some agricultural products such as mushrooms. One of the most effective way to tackle the low humidity problem is to install a humidifier of an appropriate capacity. Vacker UAE provides clients with hundreds of choices to choose for the customers. The Air Humidifier Dubai supplied by Vacker UAE are manufactured in Germany by Trotec, Germany and in France by Devatec, France. The device sterilizes water with the help of UV technology to prevent deposit of contaminated water. The power consumption of the device is absolutely low which helps in lowering the electric bills. It comes with an in-built sensor based humidistat for humidity adjustment. The speed of the fan can easily be adjusted with the help of electronic control. It possess automatic switch-off system when the water level decreases than the permitted level. It requires an inlet pipe that can be added in the device for automatic water supply. It can operate with any kind of water. The conductivity of the device ranges from 30 to 1000 µ/cm. The cylinders are easy to clean and dispose. The device can be added in building automation system using different protocols. All the models of the series are made within the protocol of CE and US standards. Vacker UAE has brought a combined device of air humidifier and air purifier in the market. These two-in-one devices are developed and manufactured by Trotec, Germany. 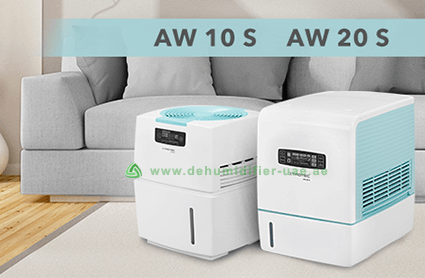 These devices are helpful in increasing the humidity of the room as well as removing different particles from the air such as dust, pollen grains, pet’s hair, etc. These devices are especially useful for people that have dust allergies. We also have air humidifier Dubai with air purifier for babies. These models come with indicators to show the level of water in the reservoir. The speed of the fan can easily be adjusted as desired by the user. The humidity measurement is shown in the digital display. It only weighs about 6 kg during factory packing. It possess large sized water reservoir to avoid continuous monitoring. The noise produced by the device is only about 40 decibels. These models humidify the air following the hundred percent natural methods. Absence of chemical makes it very safe for the babies. The humidity control of the models are sensor based.